Exactly 5 years ago I wrote a piece in the then Bermuda Sun to speak about our Portuguese-Bermudian community. Many in the Portuguese community reached out, resulting in long lasting friendships. “Often we get bogged down in the never ending Black vs White discussions and arguments. Yet we often forget there are a myriad of cultures living in Bermuda. Today I will talk about our Portuguese community. As a child I attended Elliot Primary School, many of the children were from the Azorean community. Next to Elliott Primary School there lies Sousa Estate, an Azorean enclave. Many times, we used to see mothers of our class mates coming to pick them up. Often grandmothers were dressed in full black. The unfortunate norm in most cases we always learned the curse words of a language first. I won’t go so far as to repeat it in this column. One particular friend of mine used to always state how proud he was of his Azorean heritage and often bring in books written in Portuguese and bring baked goods from his mom. Damn that “Egg Bread” was addictive. The children knew the meaning of the word “No”. Essentially, apart from the language and pigmentation, the communities seemed to parallel each other in many ways. At age 12, I left Elliot and attended Berkeley, there I saw zero Portuguese students. At age 19 I began to pump gas at Flatts gas station. There many Azorean persons became my customers. They often took five minutes to teach me a new word every time they stopped by. Often, at times I see some of my former class mates and shout out to them with a few Portuguese words. Often, they are shocked that I know the words and some even confess their own knowledge of Portuguese is limited as the language is spoken less and less with each generation. Personally, I always felt we would have been better off learning Portuguese rather than French or Latin. With such a significant portion of our population speaking Portuguese why not learn how to communicate with them? Encompassing areas such as, but not limited to; Devon Heights, Poinciana Estate, Collectors Hill and Sousa Estate, Devonshire East is not just my constituency, it is my neighbour hood. Simply put, the constituents are my friends and neighbours. The thing about friendships is that there will be times that friends agree and other times that they disagree. What is paramount is that friends and neighbours seek to learn more about each other and show each other respect. So, it was with that in mind that Premier David Burt JP MP made an announcement on Friday June 1st, 2018 that the 170th Anniversary of the arrival of the first Portuguese Immigrants will be celebrated with a one-time National Holiday on November 4th, 2019. These lines from the Premier stood out to me. The facts are that prior to the Progressive Labour Party was elected as Government in 1998 hundreds of persons and their families were forced to return to the Azores as the former United Bermuda Party [UBP] had no intentions of letting them remain in Bermuda. It was the PLP, under the guidance of then Attorney General Dame Lois Browne-Evans and then Home Affairs Minister, Paula Cox who introduced the concept of Long Term Residents [LTR], thus giving persons of Azorean decent a permanent home in Bermuda. Indeed, they were forward thinking in their actions. In the year 2018, mixed relationships, mixed marriages and mixed children are on the rise. As such, many persons can proudly say that they are of mixed heritage and must celebrate all their cultures. As a government and as a people we have a unique opportunity to redefine how we view ourselves and each other. We will not follow the centuries old status quo of ethnic inequality. 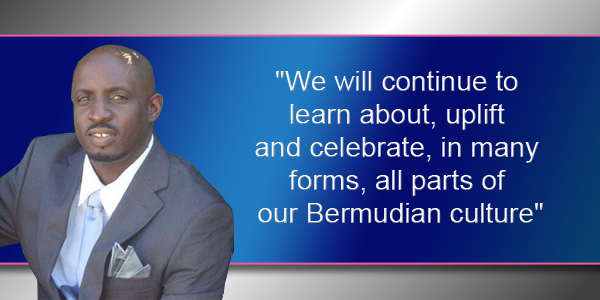 We will continue to learn about, uplift and celebrate, in many forms, all parts of our Bermudian culture. What a crock.Famous we all know what you think of people that don’t look like you.So stop with the BS and carry on pandering to your base. Exactly. The man is Jekyll & Hyde when it comes tho this subject. In his last ‘opinion’ piece he insinuated that only locals of African descent can be called truly Bermudian. In the end this is all just pandering for votes. And giving people 2nd class citizenship (taxation without representation) isn’t something I would cheer about. So, the political flavor of the day is….Portuguese. Certainly not Indian, according to PLP MPs. Exactly – nobody is fooled. Shameless. It’s all black and white to you Famous. We don’t need a holiday we need equal rights and justice. Well, to stop that you have to stop seeing people as black and white and instead see people for the person that they are. Judge people NOT by their colour but by who they are as a human being and what Actions they have taken. That doesn’t suit the PLP. So expect to see the black and white propaganda resume from CF soon. The PLP only grant favors to the Portuguese when they want to increase their chances of having more votes. During UBP’s term Portuguese were deported because PLP claimed they were taking Bermudian’s jobs. UBP was deporting them to keep Bermudians happy. Even recently the PLP motivated protest against OBA’s immigration amendments were because PLP supporters did not want to give Portuguese PRCs Bermudian status. This makes me want to make some kale soup, bake some bread and bring some over to Mr. Famous. My roots are showing. Thanks for including our community. I’ll take him seriously if he takes Burch to task for his ‘Indian’ remark. you fools marched on de hill bout my people freak off! I still have no idea how this clown got voted in over Bob Richards. Remember in 2016 when Hillary Clinton was mocked for saying she always had “hot sauce in her purse” to an African American radio talk show host? If he is “celebrating all parts of Bermudian culture” I assume he will be celebrating the Queen’s birthday next week. Sorry to see so many negatives written by readers…the title of this opinion piece is continue to learn…people through learning change their point of view all the time…let go and live on in love, peace and happiness! « Column: ‘Independence’ or ‘Interdependence’?